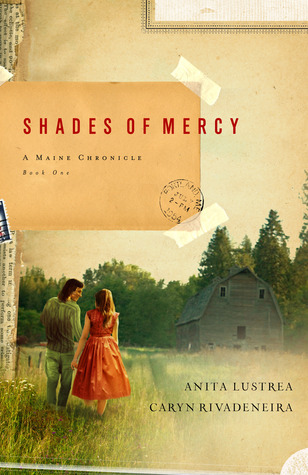 It’s 1954 and the world is about to change—including the far Northwoods of Maine. But that change can’t happen soon enough for fourteen-year-old Mercy Millar. Long tired of standing in as the “son” her father never had, Mercy’s ready for the world to embrace her as the young woman she is—as well as embrace the forbidden love she feels. When childhood playmates grow up and fall in love, the whole community celebrates. But in the case of Mercy and Mick, there would be no celebration. Instead, their relationship must stay hidden. Good girls do not date young men from the Maliseet tribe, at least not in Watsonville, Maine. When racial tensions escalate and Mick is thrown in jail under suspicion of murder, Mercy nearly loses all hope—in love, in her father, and in God Himself. A bit slow to start, this book does pick up and it turned out to be a very enjoyable read! It's filled with a history that isn't so far in our past, but that many of us either didn't live through or have simply tried to move on from. If you're a Christian, you'll appreciate the character's morals and how they held onto their faith throughout the book. All in all, this was an enjoyable read and if I get the chance, I'm going to look for additional books in the series.